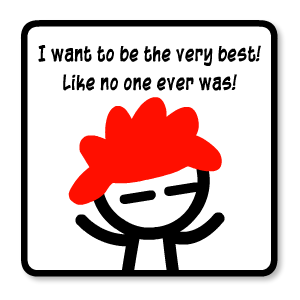 Just 1 Random Guy: The results are in! Hey guys! Blood test* results are back! *Had to take some recently to see how I was reacting to the lithium. I make a point to say this because for some reason, whenever I tell anyone I am on medications, there's about a one in five chance that the person will soon be saying something along the lines of, "Oh my God! 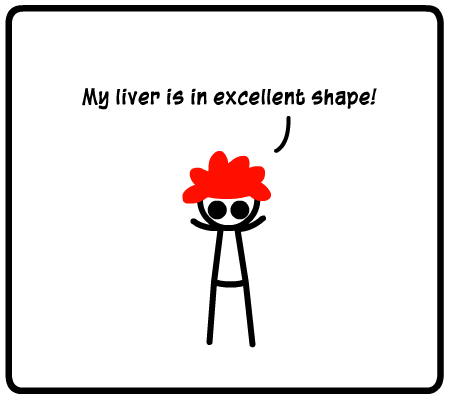 Your liver is super dead now for sures! You should never ever take any pills ever! You need to be eating this tree bark and these road apples!". Well I have been taking a laundry list of different meds, vitamins and supplements since I was about 15 years old. I have been through crazy things and I've battled several illnesses into submission. In another five years I fully expect to be able to shoot lasers from my eyes and have my farts smelling like fresh baked cinnamon rolls. 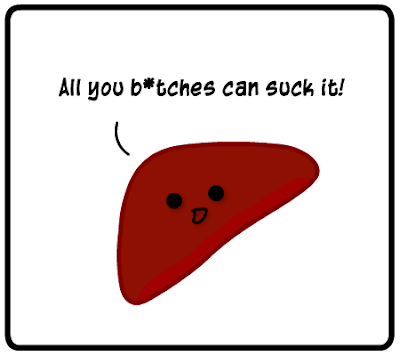 High fives for healthy livers anyone?